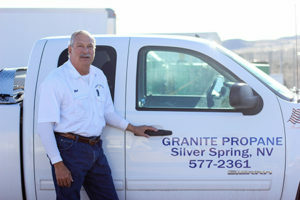 As a locally owned company, Granite Propane strives to provide the most safe, reliable, friendliest and responsive service in Northern Nevada. Closed 5 holiday’s a year and Saturday and Sunday. If you have questions, or want to check for service in your area, please use the Contact Form.